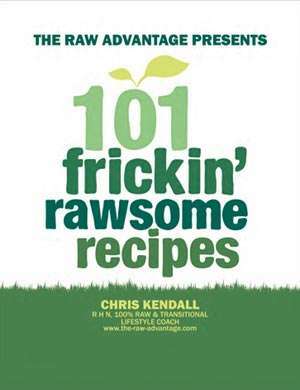 View cart “Naturally Rawsome Dressings – ebook” has been added to your cart. Its all about the Sauce! Or how a sauce can make a good meal awesome? Sauces can make any dish more exciting. If the thought of creating your own sauce from scratch sounds daunting, or if you have been curious how to create a mouth watering sauce that others will rave over then this book is perfect for you. Ashley Clark and I have explored the secret to making a perfect raw vegan sauce and compiled it into this straightforward, easy-to-use guide / ebook. We give “Top Ten Tips” that break down the key elements needed to create an awesome sauce from scratch. This will help you better understand existing sauce recipes and allow you to experiment and make your own with confidence! One of the problems with pre-made sauces found in stores is that they contain sugar, preservatives, processed oils, artificial flavors, colors, sugar, and salt. With this book you can avoid all of that by giving you the tools to create your own. We teach you in this book how to make low fat creamy sauces and how to thicken and sweeten sauces naturally and make them savory without the use of salt, plus a whole lot more! 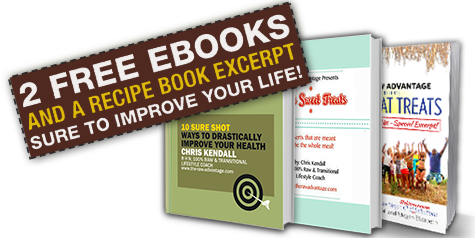 Whether you are fully raw, or looking to add more raw foods to your diet, this book will help you gain the tools you need to be a saucy pro! 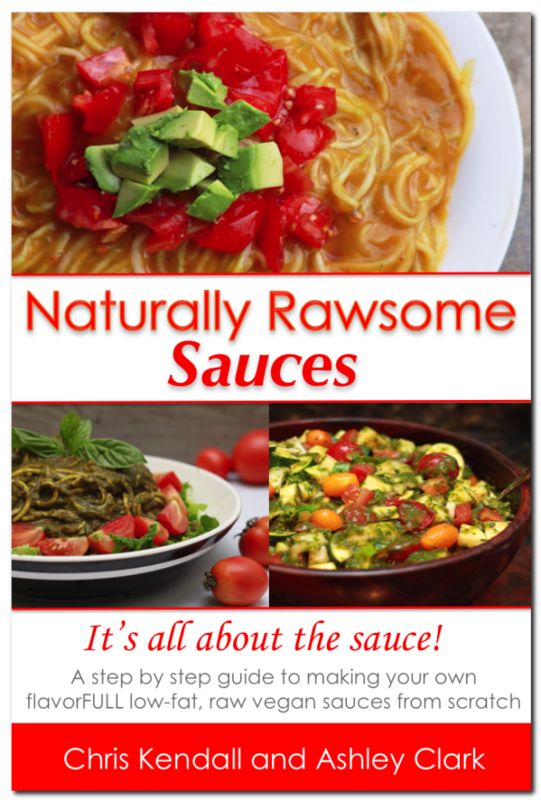 This ebook will empower you to make great tasting raw sauces! Our Top Ten Tips for making Naturally Rawsome Sauces from scratch! 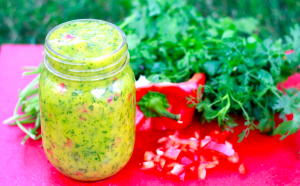 What makes a sauce go POW with flavor! Our favorite staple recipes that we make everyday! Taking sauces to the next level – dips, dressings and soups. When you make a sauce yourself you know exactly what’s in it. You choose what goes into your body. Sauces made from fresh, raw, whole food ingredients are better for your health than their processed and cooked counterparts. Canned/Jar sauces often contain unhealthy ingredients like white sugar, preservatives, processed oils, artificial flavors and colors and a lot of salt. The more raw foods you choose to enjoy in your diet the better you will feel inside and out. Just as making smoothies can help you eat more fruit, making rawsome sauces can help you eat more veggies! You can fit lot more in when you blend them into a sauce and with our top tips and step by step guide, they will not only be nutritious but taste amazing! As a man who really appreciates sauce, I guarantee you that Chris Kendall knows his sauces. 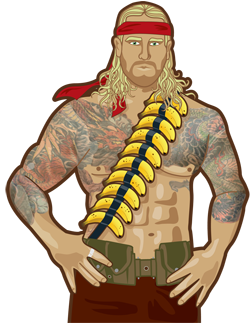 His sense of flavor, texture, and imagination shine through all his foods, but his sauces earn Chris his highest marks. 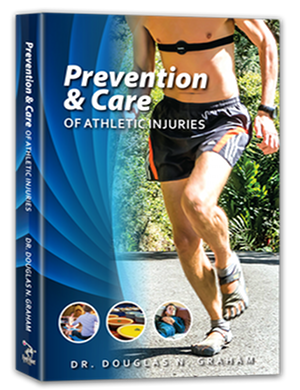 Kudos to you, Chris & Ashley, thanks for creating this great book. whether they are eating raw vegan or the SAD (Standard American Diet) most people follow this rotation. 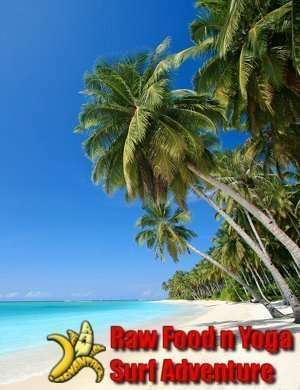 If you can find 5-7 raw vegan meals that you LOVE, it will make eating raw, fresh, whole foods a breeze… and now that you know it’s all about the sauce, you can utilize this eBook to explore your tastes and create rawmazing staple recipes for yourself. 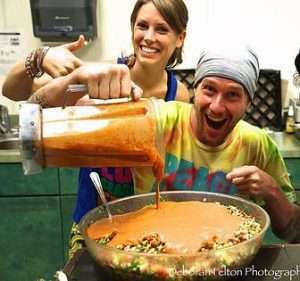 If you are looking for a place to start, Chris and Ashley share their staple sauces that they make everyday! 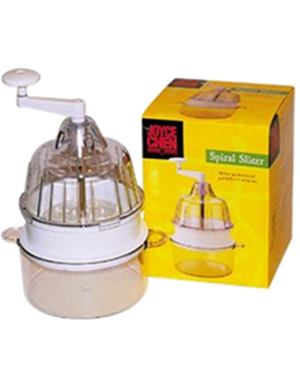 *Each and every recipe is raw, vegan, low fat and free from gluten, dairy, nuts, eggs, soy, oil, salt and processed sugars. 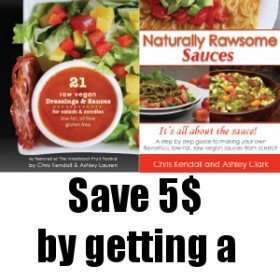 Click HERE to buy both the Rawsome Sauces & Rawsome Dressings books and save $5! 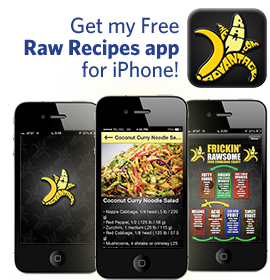 Chris Kendall, aka The Banana Commander, is a highly sought after Raw Food Chef and Registered Holistic Nutritionist, known for his simple low fat gourmet recipes. 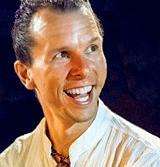 Born in Saskatoon, Saskatchewan, he travels the world cheffing events, retreats, festivals as well as public speaking, and teaching his own style of Kendalini yoga. 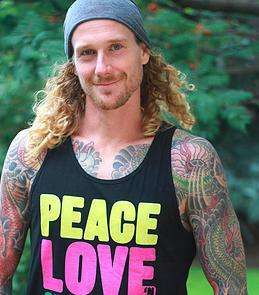 Following his passions, Chris shares all that brings him bliss through running raw food and yoga surf/skate adventure retreats, sharing/lecturing at festivals, singing raw parody songs, as well as online consultation services for those transitioning to the raw food lifestyle. 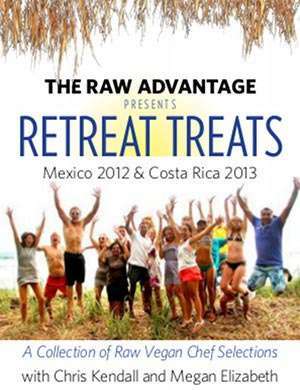 His raw recipe eBooks and free raw recipes app are considered to be some of the best in the raw world and he is often brought in as the head chef at the biggest and longest running international festivals in the world such as The Woodstock Fruit Festival and the Denmark Fresh Food Festival. Aiming to give back, the budding “TRA Dream” a 501 c(3) Non-Profit Charity, is coming to fruition. The charity’s focus is on creating donation based holistic healing, yoga, permaculture, raw food educational retreat centers around the world. Ashley Clark, aka Naturally Ashley, is a Holistic Health Coach, Artist and Photographer from Saskatchewan, Canada. She loves to nourish her body with positive thoughts and ripe seasonal fruits. Known for her raw vegan recipes and food photography, she inspires others to enjoy more raw fruits and veggies. 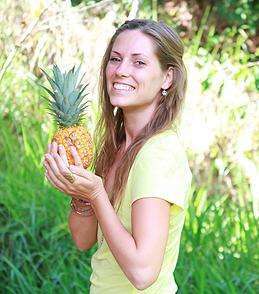 Ashley has traveled the world doing presentations and food demos and has co-cheffed at raw vegan retreat centers. She received holistic health coach training from the Institute for Integrative Nutrition and has been following a fruit-based diet since 2012. She found the fruity lifestyle after trying many different dietary theories, including the Paleo diet. Ashley went from bacon to bananas overnight and has never felt better! 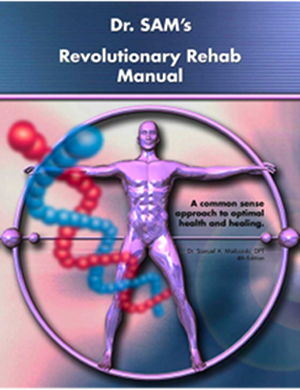 Raw foods has played a large role in healing many of Ashley’s health issues including candida, gallbladder inflammation, chronic hives and allergies, sinus problems, digestive issues, IBS, chronic urinary tract infections and more. She feels lighter and brighter with abundant energy to live life to the fullest. Check out the How to Make Sauce Naturally Rawsome Sauces Video here n be sure to watch right to the end for some fun outtakes!